Pulse raising - dribbling in the grid, few touches move it on. 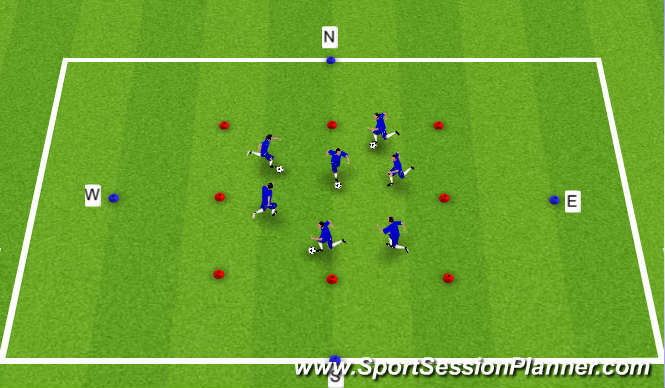 Dribbling round the grid as before, on command of direction, leave the balls and sprint as fast as possible to the cone. Last one does forfeit (5 tuck jumps).